“Revolution Cares” is a community impact program designed to allow employees and customers of Revolution to be the driving force for change and good works in their communities and neighborhoods. The program encourages employees to take on leadership roles in their community by offering an opportunity to marshal the strength and giving spirit of the team at Revolution to assist non-profit groups, community organizations and individuals in need Whether it be cooking meals at a local soup kitchen, re-stocking the shelves of a food party or helping a disabled veteran have better access to his home – Revolution stands ready to pitch in to do its part because we care about our community. 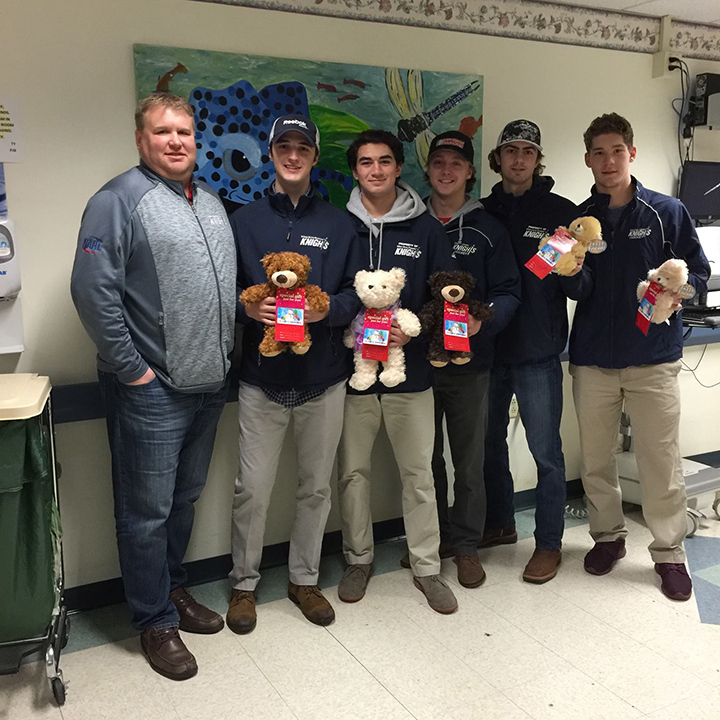 The Wilkes-Barre/Scranton Knights, a local hockey program based out of the Revolution Ice Centre in Pittston, Pennsylvania, have partnered with local charities to help teach our young athletes how to give back to our local community while raising money for organizations and increasing public awareness of ice skating and hockey here in Northeastern PA. 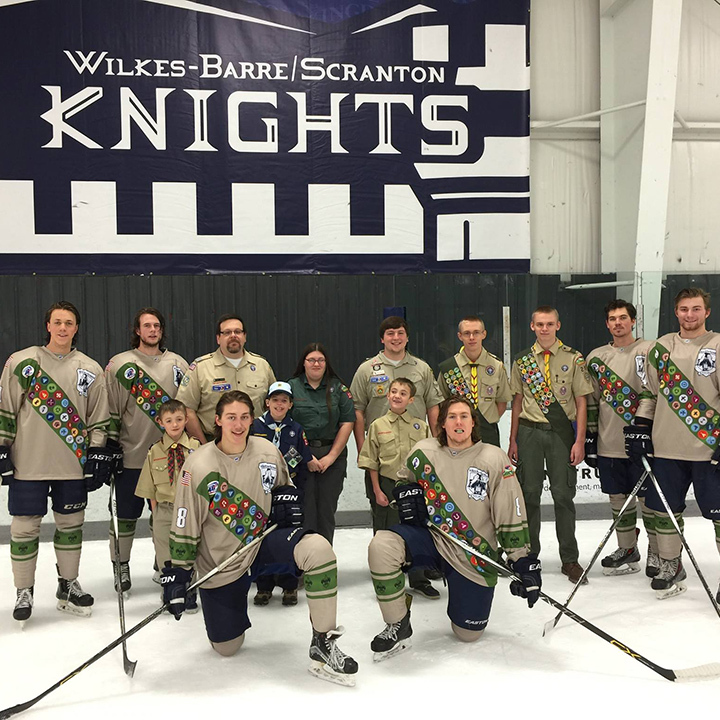 The Knights have proudly partnered with NEPA organizations such as The Boy Scouts, Ronald McDonald House, and Griffin Pond Animal Shelter to name a few. 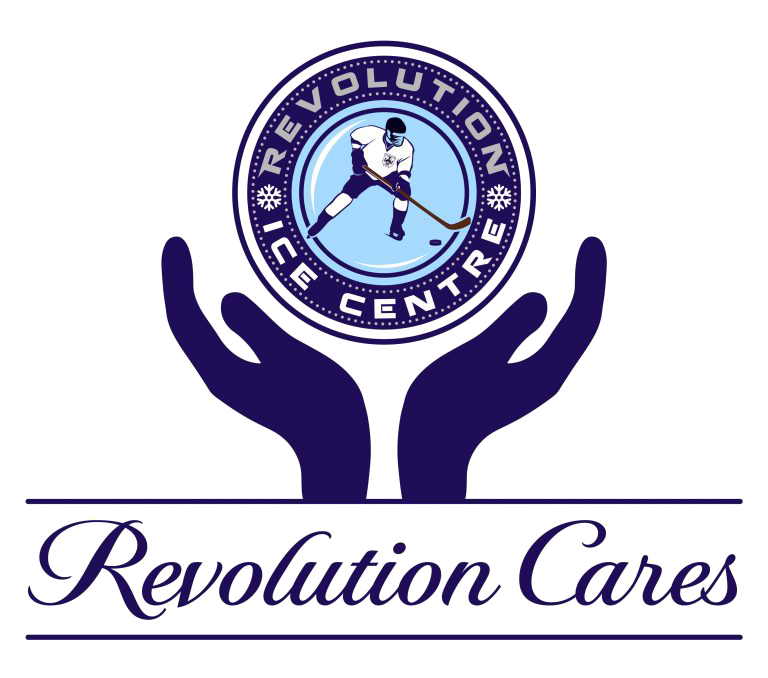 Applications are accepted by Revolution Ice Centre for 501(c)3 charities at info@revolutionicecentre.com. 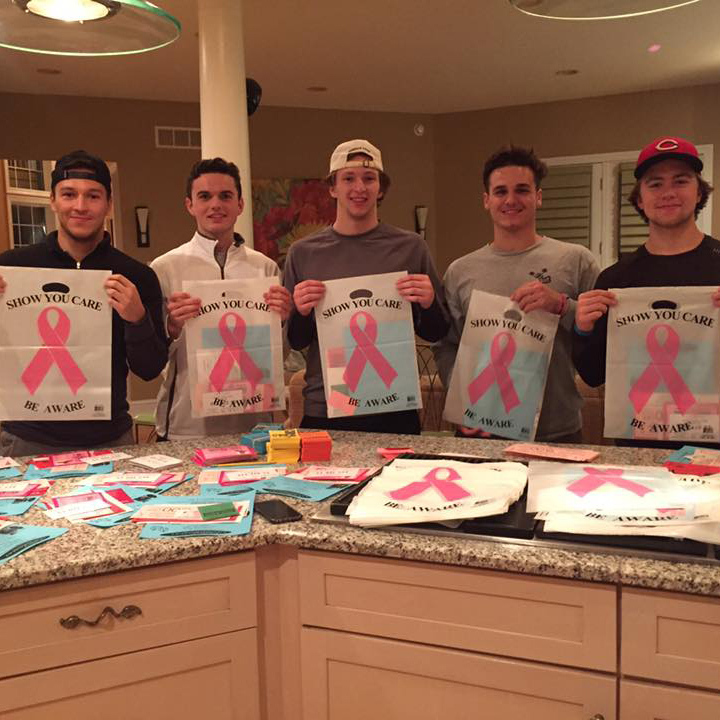 If your charity is accepted, we will designate a Knights home game for your organization. We will provide 200 game tickets for a Knights home game to your charity to sell for $10 per ticket, with proceeds to be split 50/50 with your charity. Also, the Knights will wear custom game jerseys* with your charity logo imprinted on the jerseys and these jerseys will be auctioned off before the game. All proceeds from the auction will go to your charity. *Please note, when you choose to accept a Knights home game for your charity, it takes 6-8 weeks to get a custom jersey made after the design of the jersey is created and approved by the charity and the Knights. We ask that the charity provide the sponsor for the cost of the jerseys. Wilkes-Barre/Scranton Knights, a local junior hockey program (ages 16-20) based out of the Revolution Ice Centre in Pittston, Pennsylvania. 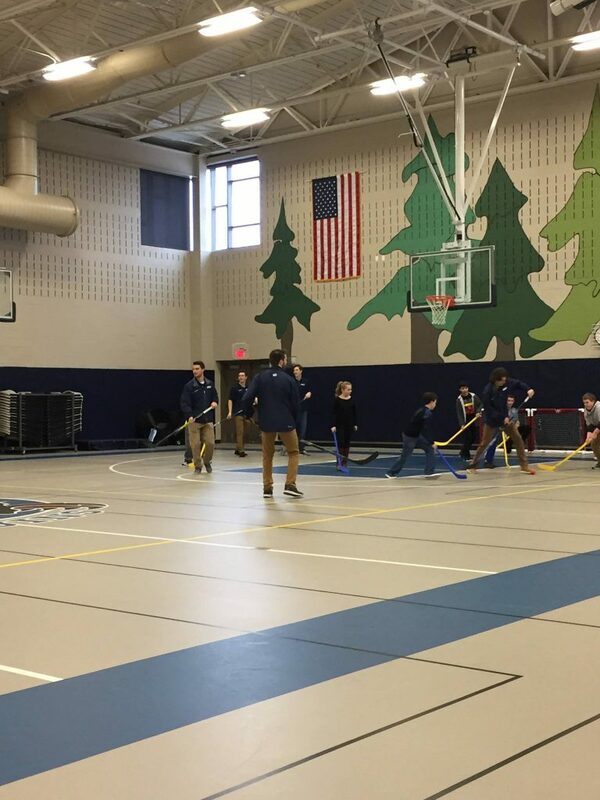 The Knights team members will come to your school and introduce the game of hockey to your students through presentations and a floor hockey exhibition in PE class or in a special event. 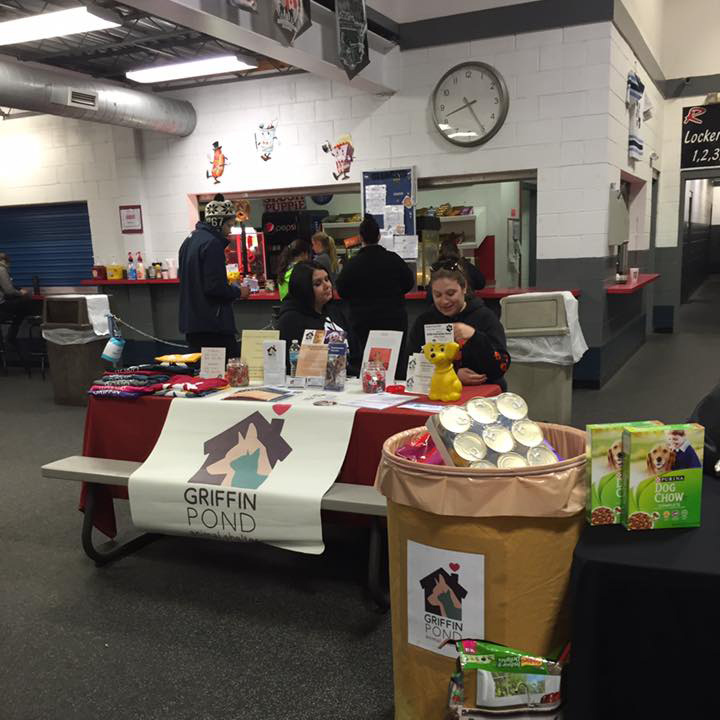 These exhibitions transcend hockey – they are life lessons as your students witness the perseverance and work ethic of local, talented, and dedicated youth pursuing their dreams. Students will hear stories of challenge and triumph; of overcoming adversity; of teamwork and selflessness from these athletes that are the top hockey players in the country. All will in some way be touched, all will in some way see their own horizons broadened, and all will witness how hard work can propel them to be the best person they can be.”Ticket Fundraiser – we will provide 200 game tickets for a Knights NAHL home game to your school to sell for $10 per ticket, with proceeds to be split 50/50 with your school. For example, if you school can sell 200 tickets x $5 (profit for school) = $1000 fundraiser for your school”.